It’s a pity there’s no handy ‘How to’ book to teach you about adult life, especially when it comes to finances. It’s something that you need to learn on the job. To make the task easier, here’s a breakdown of the three trickiest areas to get to grips with in your twenties - debt, cash flow and budgeting. Don’t be fooled into thinking that debt is all the same. It’s worth dividing what you owe into good debt and bad debt. Good debt can help you invest in an asset which will deliver a capital gain, while bad debt just helps finance your lifestyle. One example of ‘good debt’ is a loan taken out to fund higher education or vocational training after you leave school. The name may have changed from the Higher Education Contribution Scheme (HECS) to the Higher Education Loan Program (HELP). But whether it’s HECS or HELP, your debt’s the same—and something you share with 2.7 million other Australians. Your higher education debt is a bit different to many other forms of loan as no interest is charged. Most other debts—credit card, car loan, home loan, personal loan—will charge a rate of interest higher (in some cases much higher) than your Uni debt. But your HELP/HECS debt does increase with inflation so you don’t want to forget about it altogether. If you have other debts to pay off, it might be worth dealing with the high interest debts first and working your way through to lower interest debts. And if you’re saving towards a goal like buying a house, you’ll need to weigh up the relative merits of paying off your debts versus putting the money towards your goal. Cash flow is just a fancy way of measuring how much money is coming into your account and the amount that’s going out at any time. It’s made up of three key components. Income isn’t just your wages, it’s also interest from savings accounts, dividends from investments and capital gains from the sale of assets. Expenses can be ongoing, like rent or mortgage payments, utility bills and insurance, or discretionary, like entertainment and clothing. Simply put, there are expenses you definitely can’t avoid and expenses you possibly can. 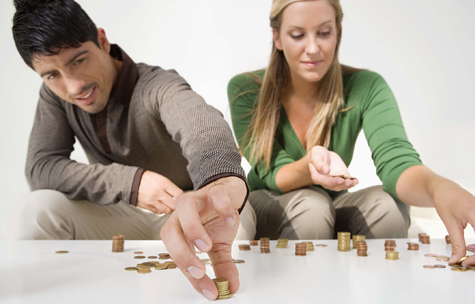 Savings comprise anything you have left over after expenses are subtracted from your income. Hopefully this will be a positive number but if your expenses are more than your income, you’ll have a negative cash flow. An effective budget can go a long way towards helping you achieve your goals. It can help to think about budgeting in terms of your cash flow—what’s going out and what’s coming in. If your cash flow is negative, or you’d like to see your savings increase, you’ll need to look at your expenses and see if you can cut back in any areas. It could be as simple as buying more home brand groceries or spending less on takeaway food. Or it could be a little more long-term, like moving to a more affordable area to save on rent or mortgage repayments. Turning to the income side of your cash flow equation, it’s worth reviewing your income sources to see if you can get your money working harder for you. Could you be getting a higher interest rate on your savings account, a better return on your investments, or even earning more money with a second job or side project? Getting on top of your debt, cash flow and budgeting are essential lessons for anyone learning to adult. Understanding them will give you more control to better manage your money and reach your financial goals. If you need help, give us a call.